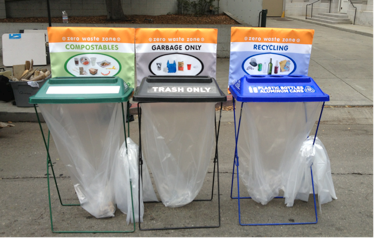 Oakland Recycles has the information you need for your business to recycle and compost right! All businesses in Alameda County are required to have containers and service of sufficient number, size and frequency for all recyclable and compostable materials generated. Learn more about the County requirements at My Recycling Rules, as well as the State recycling requirements and State compost collection requirements. All properties in Oakland are required by Municipal Code to have trash collection services. Waste Management of Alameda County, Inc (WMAC) is the exclusive provider of commercial compost collection services. Contact WMAC to order compost collection service and request free technical assistance. For further information on what materials are compostable, as well as current service rates, visit OaklandRecycles.com/business. Commercial recycling is open market in Oakland. You can shop around for the service provider that works best for you. Explore our business recycling service provider directory. If you are unable to find a service provider California Waste Solutions will provide recycling service to any business upon request at rates no higher than the Maximum Allowable Commercial Recycling Service Rates. Contact California Waste Solutions at (510) 625-5263 or OaklandCS@calwaste.com. For further information on what materials are recyclable, visit OaklandRecycles.com/business. Waste Management of Alameda County, Inc (WMAC) is the exclusive provider of commercial trash collection services. Contact WMAC to order trash collection service and request free technical assistance. Do not place compostable or recyclable materials in the trash. For further information on what materials are compostable, recyclable, and trash, as well as current service rates, visit OaklandRecycles.com/business. Need more help? Contact the Oakland Recycles hotline at (510) 238-7283, or via email, recycling@oaklandnet.com. County ordinance prohibits retail establishments and restaurants from providing single use carryout plastic bags and requires retail establishments to provide compliant reusable or paper bags for a minimum of ten cents at checkout. 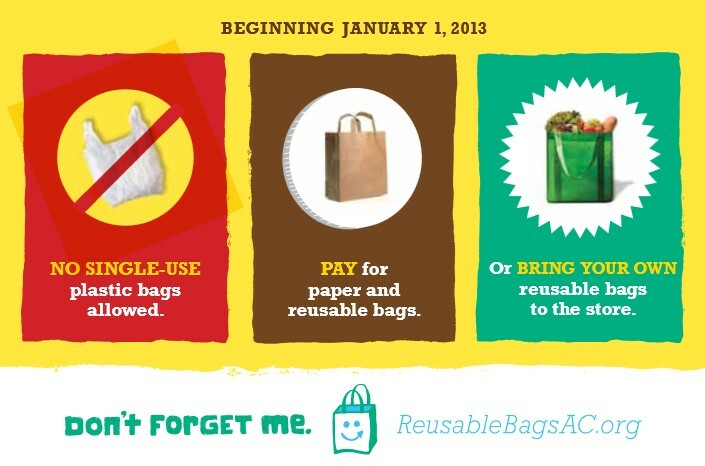 Get the full story at ReusableBagsAC.org. City ordinance requires restaurants and other food vendors to use compostable food service ware and bans the use of expanded polystyrene food packaging. More information. Cooking oil and grease poured down drains builds up in pipes causing backups. Proper disposal of your cooking oil and other greases and fats will help prevent a sewage backup in your business. Overflows can pose health and environmental hazards, polluting local creeks and San Francisco Bay. Visit our Fats, Oils and Grease page for more information. 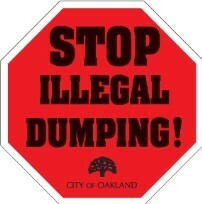 Illegal dumping of materials such as large appliances, furniture, waste tires, computers, and household refuse is a problem in many California communities, including Oakland. Preventing and managing illegally dumped material requires everyone’s help. More information on what the City is doing, and how you can help. The City of Oakland’s Construction and Demolition Debris Waste Reduction and Recycling Ordinance (C&D Recycling Ordinance) is part of the City’s efforts to meet local and State mandated requirements to divert materials from landfill disposal, including Oakland’s goal of Zero Waste by 2020. Start here for program information. Large Event Recycling is required in Oakland by state law (Public Resources Code 42648). Events are considered large if they serve an average of more than 2,000 people per day, or if they charge admission, or if they are sponsored by a public agency. Public agency sponsorship includes direct event funding or operation assistance, or use of public facilities such as parks, streets, or buildings for an event. Smaller events can also request assistance. Visit our Event Recycling Page for complete information on requirements and tools and assistance available. 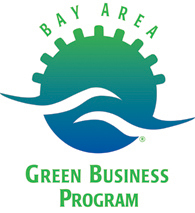 Join the 130-plus Oakland businesses that have achieved Green Business Certification through the Bay Area Green Business Program. Certified Green Businesses go beyond compliance with environmental regulations by taking additional steps to minimize waste, conserve water and energy, and prevent pollution. Oakland Recycles provides support to help green businesses locate and thrive in Oakland. Oakland businesses interested in becoming Certified Green Businesses may obtain free technical assistance by contacting us at recycling@oaklandnet.com or by calling the Oakland Recycles hotline at (510) 238-7283. Follow Sustainable Oakland on Facebook.